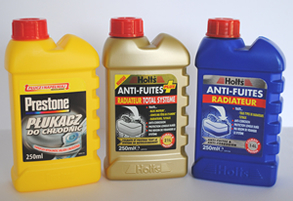 Anglia Labels becomes sole label supplier to Holt Lloyd International. After supplying Holts for over 10 years, Anglia Labels has being given the opportunity to supply its Redex and Prestone labels. These two brands are market leaders in their own field. Anglia’s Managing Director Ian Woodhead states the extra work is beneficial to the steady growth within Anglia Labels. Looking after its existing clients and helping them produce a betting looking product to sell into their markets is vitally important and cements the relationship between supplier and customer.